Traveling to Hong Kong for the first time? More than seven million people live here, making this Chinese city one of the most densely populated areas in the world. Add the frantic pace, the bright lights, and the towering skyscrapers, and Hong Kong can be a little daunting. But sometimes taking in the view from afar helps make a place this size seem a little less intimidating. So here are the best places to see Hong Kong from the water, the mountains, and the sky. Located along China’s southern coast, Hong Kong is spread out over more than 200 islands, and much of the city is surrounded by water. So water travel is a way of life. 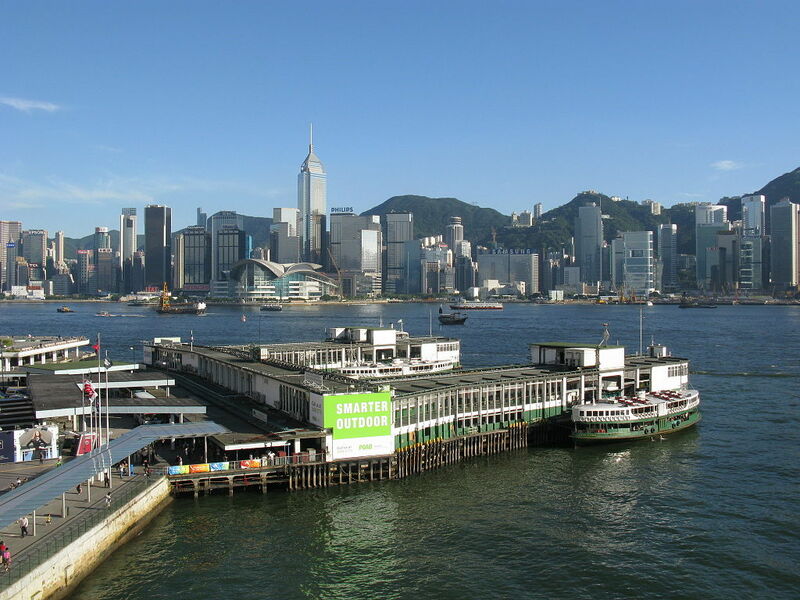 Star Ferry shuttles local commuters and tourists across Victoria Harbour between Kowloon and Hong Kong Island. Buy a token–it’s cheaper than the subway. Board a green-and-white ferry–they depart every eight minutes during peak time. And make sure you get a seat on the upper deck. As you cross the water, you’ll have the perfect view of the tall skyscrapers and the busy harbor. Welcome to Hong Kong. 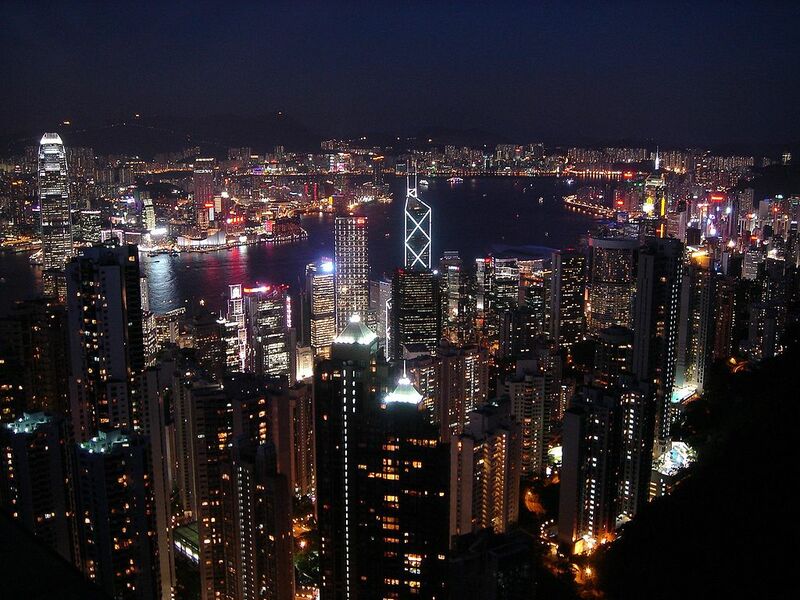 Your arrival on Hong Kong Island gives you the perfect excuse to see the city from Victoria Peak. You have three options to go up and down. First, ride the Peak Tramway. The steepest funicular in the world departs near St. John’s Cathedral. Sit on the right side for the best rising views. Second, board the red double-decker Number 15 Bus from Admiralty. The bus is slower than the tram, but you’ll have views of Central and the Happy Valley Racecourse. And, third, hike up Old Peak Road from the Zoological and Botanical Gardens. It will take about an hour to climb the fern-lined path. On a clear day, you’ll see Macau in the distance. Victoria Peak offers some of Hong Kong’s priciest real estate, as well as a respite from the humidity below. The Peak Tower and the Peak Galleria offer tourists a break with restaurants and coffee shops. Avoid some of the crowd by strolling along the Peak Circle Walk at the top of the mountain. You’ll have views of Victoria Harbour, Kowloon, Central, Lamma Island, and the South China Sea. At night, the city will be bright with neon lights. Just don’t go down the same way you came up. Now that you’ve seen Hong Kong from the water and the mountains, the ideal place to spend the evening is up in the sky. It may be called the Lobby Lounge, but this bar at Kowloon’s InterContinental Hotel is located on the top floor overlooking the Avenue of the Stars. A three-story wall of windows offers panoramic views over the sparkling lights of the city. Sip a V-Sip signature cocktail like a fruity Victoria Sunset or a refreshing Fragrant Harbour. Order Tappetisers like king crab, Pacific prawn, and marinated herring. And watch the city light up with the nightly Symphony of Lights performance. Another cocktail, please. By now, you should be starting to feel more comfortable in a city that bridges the East and the West. You’re ready to visit the Sik Sik Yuen Wong Tai Sin Temple, explore the Hong Kong Museum of Art, and wander through the Temple Street Night Market. You just need to get some sleep first.